Little Bobcats are learning about the ocean! 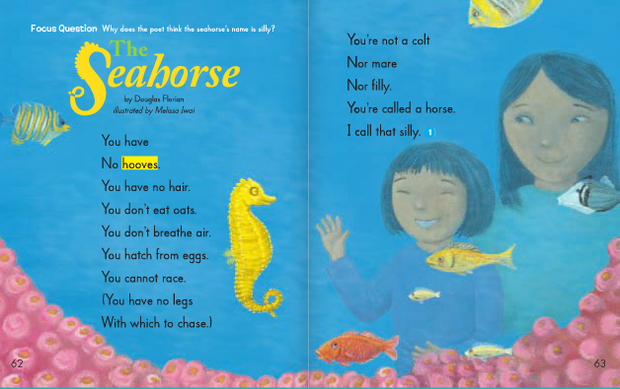 How are sea animals different from land animals? How is ocean water different from freshwater? Why is it important to learn about the ocean? 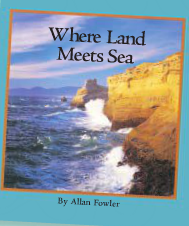 This nonfiction selection, by Allan Fowler, focuses on the differences between the land where the land meets the ocean. Some lands are marshlands, some are rocky, and some are sandy. 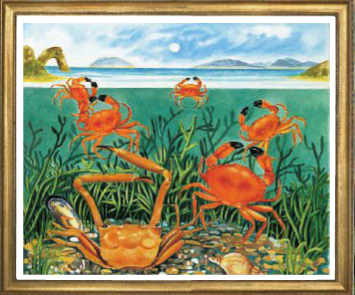 They will also discuss the different animals that live along the seashore. It will also give them an opportunity to make connections to what they already know about the seashore and share personal stories about things they have experienced at the beach. 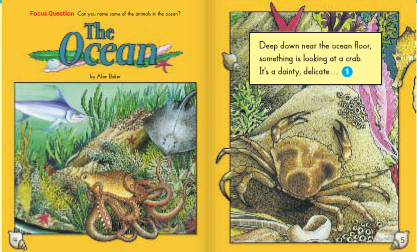 This informative reading selection helps children become familiar with some of the fascinating creatures that live in the world's oceans. 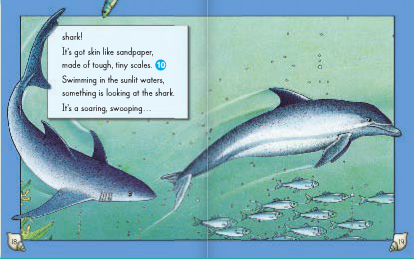 We will read about seahorses, eels, rays, swordfish, sharks, dolphins, turtles, and lobsters, as well as other underwater life. 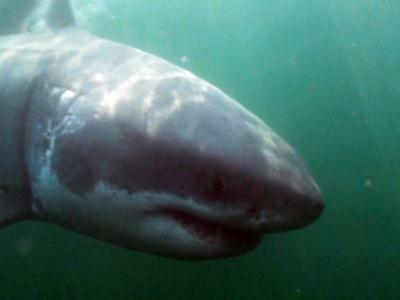 MYRTLE BEACH A great white shark tagged by researchers a year ago has returned to Grand Strand waters. 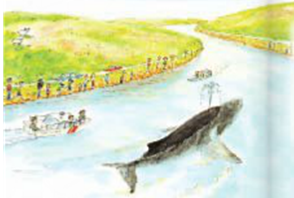 This is a true story about a humpback whale who wandered away from other whales in the ocean, into San Francisco Bay, and up the Sacramento River. 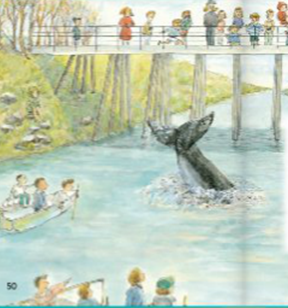 We will read about the remarkable rescue efforts that returned Humphrey to the ocean. Click here to read more about Humpback Whales. 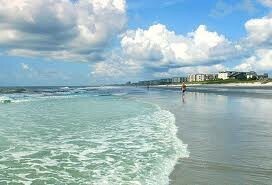 We will also investigate sea turtles and the efforts in our community to preserve the sea turtle nests. 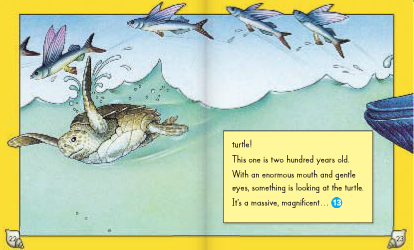 This story called "Hello Ocean/Hola Mar," is in both English and Spanish. 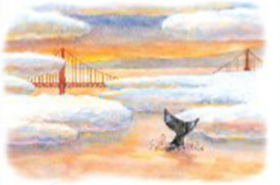 In this story, a girl describes the ocean as experienced through each of her five senses. The girl sees the various colors of the sea, tastes the salty water, feels the seaweed and the sand, listens to the crashing waves, and smells the fresh and salty wind. Although your children a very familiar with the ocean, I truly hope that their knowledge is deeper now that we have explored live in the ocean.